Blog » Basic Finance » Investing Basics » Why Investor Returns are less than Investments Return? Why Investor Returns are less than Investments Return? Investment Returns Vs Investor Returns – Why such a huge gap? Equity and equity-based products are said to offer the best returns and bring the most capital appreciation in long run. We hear about lots of full-time investors like Mr. Rakesh Jhunjhunwala and Azim Premji who have made a fortune in the stock markets. Small investors also invest in stock markets wanting to emulate the performance of successful investors and organizations. But retail investors are never able to match the returns made by the Sensex or the big investors. For example, the Sensex rose by 280% between November 2011 and November 2014. But there were hardly any success stories of retail investors minting so much money. The average return for top 10 midcap funds for last 5 years is 25% plus CAGR, but very few investors have made that kind of returns. The average retail investor did not create so much wealth during that period. Of course, the primary reason is that the participation of retail investors in stock markets is low. Let us try to understand why there is a gap between investment return and investor return. Poor knowledge and decision making – The average retail investor, unfortunately, is not very knowledgeable or capable of taking firm decisions when it comes to investing in the stock market. He is not sure how to read and interpret the balance sheet or income statement. He is not fully aware of how macroeconomic conditions can affect the stock market. The retail investor generally reads up ‘Top Stocks to Buy’ and ‘Stocks to Sell Today’ in the news or gets recommendations about buying/selling a stock from friends. He then buys/sells as per the recommendations and tips. But this is not the right way to buy/sell. You have to understand the stock market, factors that affect it and your investment plan and then decide on which stocks to buy else it is just trading. Trading is not a long-term plan to build wealth, investing is. If they see friends buying a stock, they buy it and if the stock broker asks to sell, they sell without really understanding too much. This results in buying and selling at the wrong time. Missing the rally – During the period of March-July 2015, investors put in Rs 45,127 crore into equity mutual funds. At the same time, the foreign institutional investors, who drive the stock market in India have been net sellers. They sold stocks worth Rs 8,950 crore between April and August 2015. FIIs generally make investment decisions after through research and analysis. So the retail investors are not doing the right thing. Retail investors not only in India but in other countries too buy when prices are high and sell when prices are low. They try to time the market when other have already reaped benefits. In the end, they are left with crushed stocks.  Switch Investments – Retail investors are not a disciplined lot. Investors switch investments frequently. They do not stay invested for long. Take the example of recent Initial Public Offerings. Investors are continuously putting money but 80% of them sell within the first week of listing. The moment they see that the stock market is a little volatile, they panic and sell. Returns in the stock market and equity-based products are attractive over a long-term and it does not make sense to sell blue chip stocks the moment there is some volatility in the market in the short-run. Emotional buy/sell decisions – Retail investors overreact more so when there is a lot going on in their life like financial downturn or retirement etc. The retail investor has a low-risk appetite and a low amount to invest in the stock market. But he hopes for some miracle and become rich. Many studies have proved that people are overconfident about their abilities be it investing or driving. Overconfidence can lead them to believe their decisions are correct when they might not be. Irrational behavior – People follow the herd. If some big investors are selling a stock, retail investors follow them without understanding his reason to sell. The big investors might have reached their target for selling. Has the retail investor reached his target? They just follow the portfolio of a famous investor and think that by just mirroring the portfolio they can make money. Retail investors cannot bear to make a loss. If there are some stocks that are in red, he sticks to them even if there is not much potential hoping against hope that the stock will rise up again. It is alright for him for his portfolio to lose value rather than make a bit of actual loss and invest the money in better options. Apart from technical and financial knowledge, the appropriate emotional behavior is also required from a retail investor to avoid making wrong decisions. Poor Participation – The Indian stock market has generated good returns in the last 20 years. But retail investors have hardly benefited as the ratio of retail investors in Indian equity markets is very low. A RBI report in 2013 clearly indicates that only 3.5% of the investors are invested in shares & mutual funds. Recently although this figure has increased a bit but still the participation is lesser than even 5% of the total population in our country. Never follow media or so called experts blindly. Invest as per your own research or with the help of experts.